Dr. Torralba said that there is no such thing as a broken home because home is where the heart is. Whether a family is composed of two parents, a single parent or even a guardian to a child unrelated by blood, it is when one chooses to consider each other family that determines a home. It is this choice that gives one the strength to face the challenges of life without bitterness. 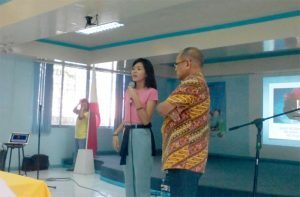 To illustrate his point, Dr. Torralba invited 16-year old Ara Joy Cruz of Tinajeros, Malabon City to share her life story with the participants. Ara is the youngest of three sisters whose parents separated after their father had an illicit affair while their mother worked overseas. She related how difficult it was to deal with the situation as she and her sisters were forced to take care of each other with their parents’ absence. They even had to spend two Christmases on their own that their neighbors felt sorry for them. Despite the unpleasant events, Ara chose to remain positive. “Yung ibang kabataan, magrerebelde na,” she said. She holds no ill-feelings toward her parents. She and her siblings instead chose to stay away from bad influences. 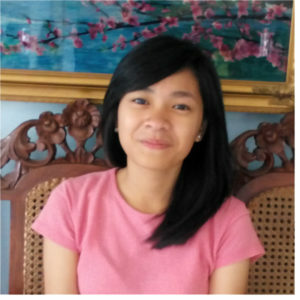 Ara not only studies hard but is also a student leader in Tinajeros National High School. Her positive outlook and determination prove that indeed, it is our choices that determine our fate. The participants, mostly parents and some single parents, shed tears as Ara related her touching story. It prepared everyone to actively engage in the workshop activity that followed. The parents leaders workshop dubbed “Wanted: Mabubuting Magulang” was initiated by Coun. Aly Medalla, chairperson of the Committee on Education, in response to the programs identified during the education summit held for District V in July. Both activities are held in partnership and support of Synergeia Foundation and Unicef. Coun. Medalla urged the participants to take advantage of the seminar in order to improve the education status of Quezon City children. She offered her full support in future efforts to cascade the training methods to other parents in the district. Left: QC District V Parent Leader Seminar Banner; Top: Ara Joy Cruz relates her story as Dr. Tonton Torralba looks on.